"Let it never be said that romance is dead" ~ Kaiser Chiefs "Ruby". I adore precious gemstones in their raw state. Here are two examples of delicate ruby and sapphire slice pendants, with oxidized sterling silver. 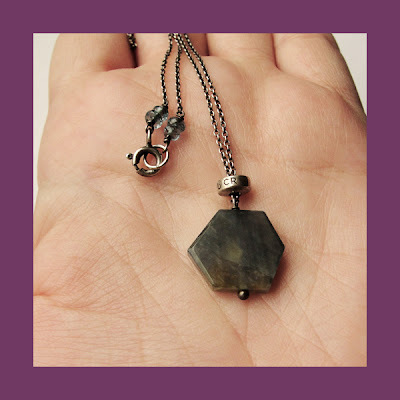 Always one of a kind, these geometric lovelies were sliced from naturally occurring hexagonal crystals in the corundum family. This season on Breaking Bad, Hank, the cranky bedridden family narc and gunshot victim, who's new hobby is collecting mineral specimens, scored a premium example of natural blue corundum on eBay. "Sapphire", I screamed out loud to the TV, to no one in particular. I love mineral specimens too. 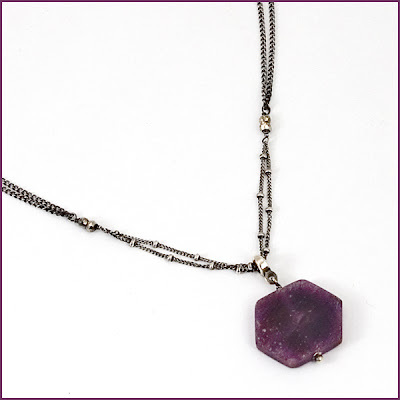 Cynthia Rybakoff Ruby, Ruby, Ruby Pendant, $138, currently available online at Supermarket and weekends 10-7pm at Artists & Fleas. Sapphire pendant photo courtesy of Ashdel Handmade. That's what gay cartoon icon Snagglepuss might say, if he saw you sporting this chunk of ruff rock crystal points around town. I don't know which galaxy Murgatroyd is located in, but just think of all the gems that might be found there! Exit, stage left! 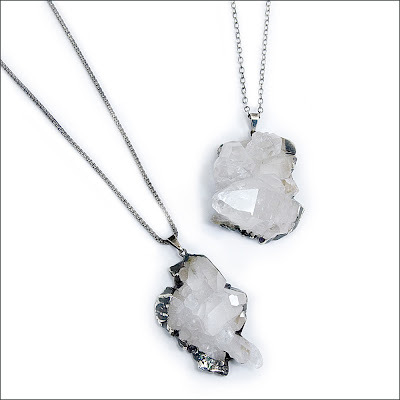 Cynthia Rybakoff Murgatroyd Crystal Pendants with oxidized silver foil bezel on a heavyweight sterling silver chain, for boys and girls, $128. Available at Supermarket and Artists & Fleas. One chilly June, in the late 90's, I spent a blissed out two weeks in Sweden, scouring flea markets, pristine antique shops, salvation armies, tony mid-century galleries, and dusty old junk stores, until I had filled several suitcases with treasures representing over 100 years of Scandinavian design in wood, glass, metal and ceramic. It helped to be staying with an expert Swedish design picker, who led me through the modern city of Stockholm, into the cobbled streets of the historic Gamla Stan, and out into the surrounding provinces like a pro, on what was to be the design trip of a life time. Waxing nostalgic for 11pm sunsets, Josef Frank prints and crayfish, I couldn't resist this recent aquisition of colorful limited edition vintage Swedish map charms; eye catching mod souvenirs of a country that personifies good design. 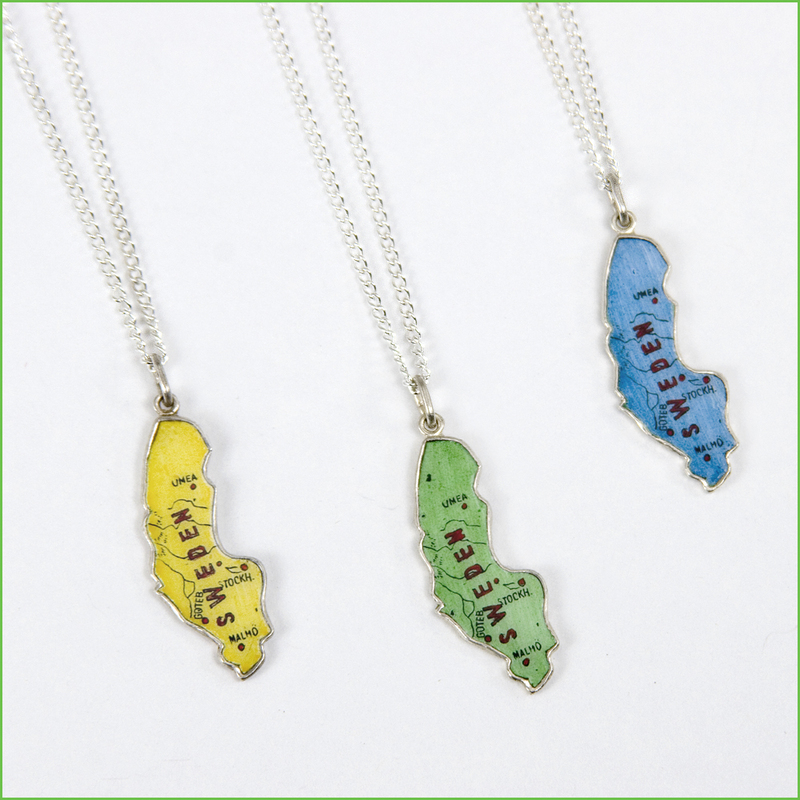 Celebrate your love for all things Swedish with these collectible kitsch pendants in the shape of one very cool country. Cynthia Rybakoff one of a kind and limited edition vintage travel charm collection, available weekends at Artists & Fleas, Brooklyn and online at Supermarket.